The 4WPB100 provides completion resistors that allow our dataloggers to measure a 100 ohm platinum resistive thermometer (PRT). The 4WPB100 uses two adjacent differential analog inputs; the first channel requires an adjacent analog ground channel to accept the "ground prong" of the 4WPB100. Not all data logger terminal strips have this sequence on all channels, so please check your data logger's wiring panel to confirm channel assignments, especially if you plan to use multiple Terminal Input Modules. Newer CR10X Wiring Panels and the CR10XTCR Thermocouple Cover are deep enough to cover the data logger input channels with a Terminal Input Module attached; older CR10TCRs are not deep enough. When using CRBasic, the 4WPB100 is measured with the BrHalf4W Instruction followed by the PRT Instruction. When using Edlog, the 4WPB100 is measured with Instruction 9 (Full Bridge w/ Measured Compensation) followed by Instruction 16 (Temperature RTD). How many 4WPB100 modules are needed to measure the internal PRT in an NR01-L or CNR4-L 4-way net radiometer? Only one 4WPB100 is needed to measure the internal PRT in the radiometer. When a 4-way net radiometer is used, which dataloggers require the use of a 4WPB100 to measure the internal PRT? The CR1000 requires a 4WPB100 to measure the internal PRT. (Dataloggers such as the CR3000 and CR5000 have the necessary PRT bridge module built in to measure the PRT.) 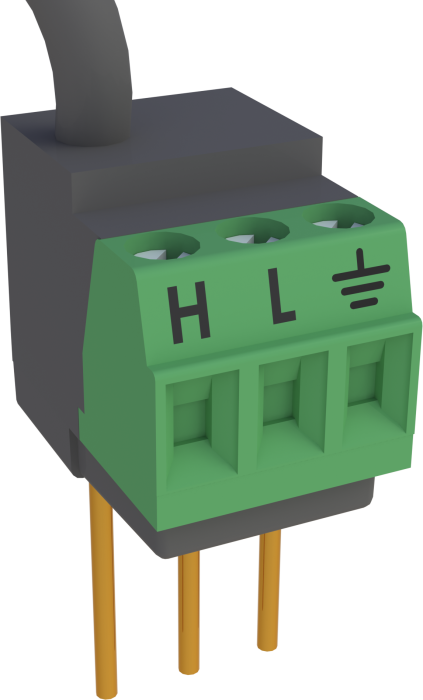 Note that the CNR4-L also includes an internal thermistor, which can be directly measured by the CR1000. Because of this, when using a CR1000, Campbell Scientific typically recommends monitoring the internal temperature of the CNR4-L using its internal thermistor instead of the PRT. 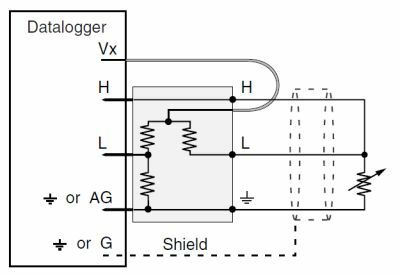 Can three-wire PT100 sensors only be used with three-wire half-bridge modules, or can they also be used with four-wire half-bridge modules? The 4WPB100, 4WPB1K, and 4WHB10K terminal input modules can be used instead of the 3WHB10K module. However, to maintain the enhanced accuracy of the four-wire half-bridge instruction, it is pertinent when adding the fourth wire to maintain the same resistance as the other three wires (same wire size and manufacturer). 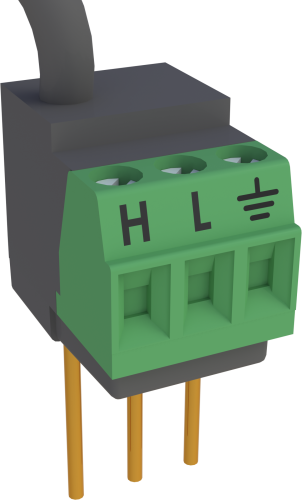 Note that simply adding a short jumper wire on the 4WPB100, 4WPB1K, or 4WHB10K modules to complete the fourth wire will not maintain the accuracy.